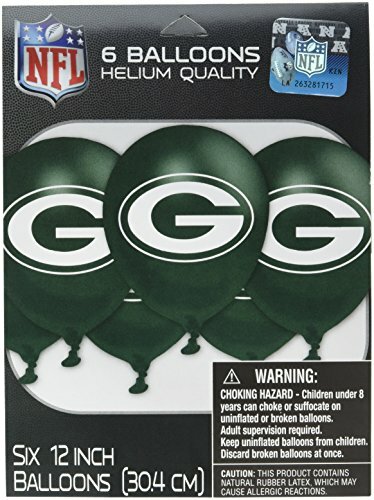 You will receive: One (1) 23" Packers Jersey mylar shape balloon. 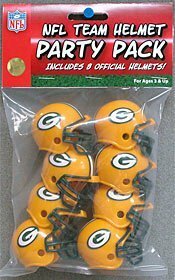 One (1) 21" Packers Helmet mylar shape balloon. 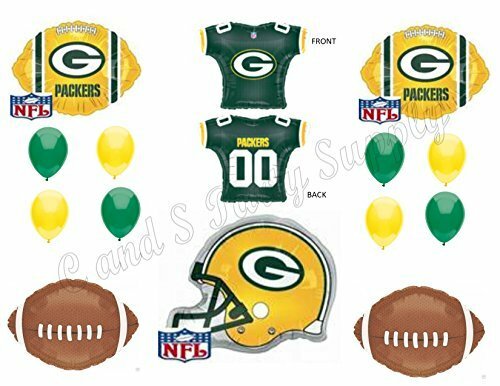 Two (2) 18" Packers shape mylar balloons. Two (2) 18" Brown Football mylar shape balloons. Eight (8) 11" Coordinating latex balloons...4 Yellow and 4 Green. All you do is add Helium (AND FUN!) Sure to be a hit at your party! All Balloons are new and are shipped uninflated. 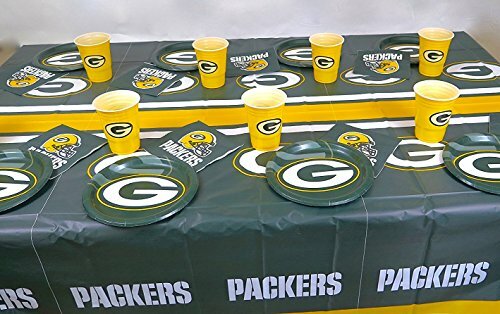 Green Bay Packers Dad's Birthday party 49 pieces set, Tablecloth,16 plate, 16 napkins, and large plastic 16 cups. Easter and Dad's birthday party Giant set includes reusable plastic tablecloth, 16 paper dinner plates, 16 Napkins, and 16 giant plastic cups. 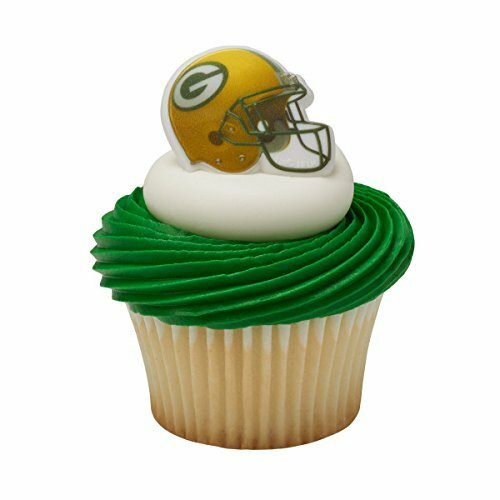 great for game day , tv, party, and tailgate partIES . 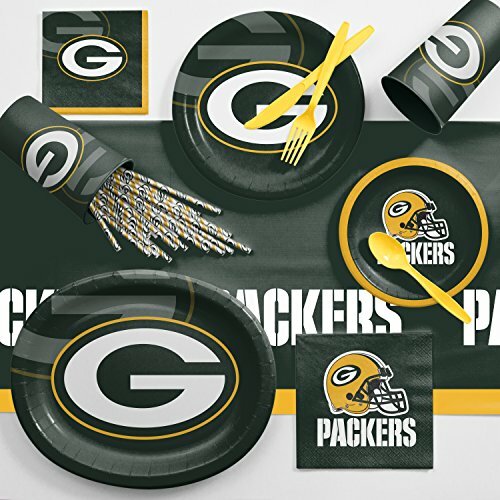 Be ready to cheer on the Packers with your family and friends with this collection of football party supplies. 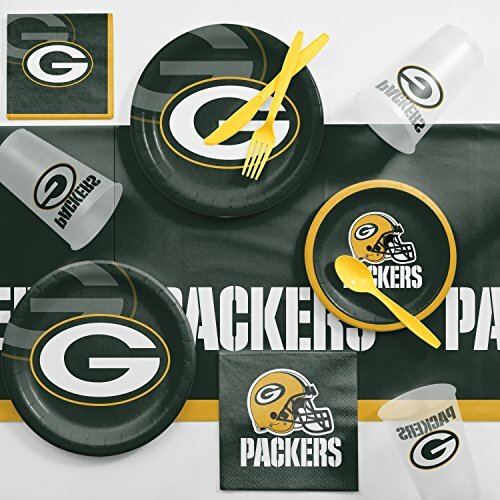 The ultimate fan kit is designed to ensure you serve up your gameday party guests with souvenier quality cups and Green Bay Packers logo paper plates and napkins, to bring the stadium atmosphere home. Whether it's the season kickoff or a big game, this collection of party supplies is the perfect way to dress up your game room. 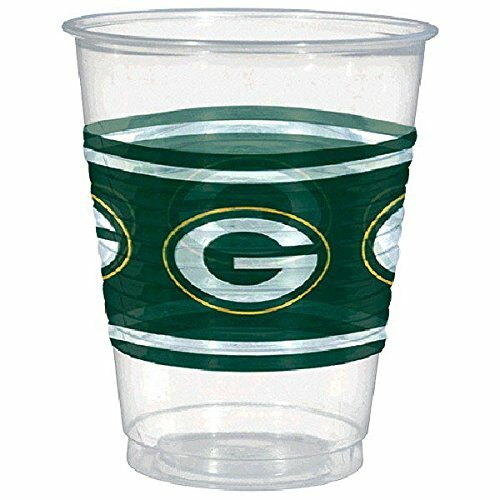 Cheer on your team, feed your friends on Green Bay Packers paper plates and enjoy drinks in Packers plastic cups. This game day kit has everything you need to watch your team pick up a win.